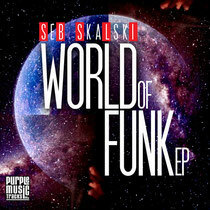 Something slightly different for a Monday Tune of the Day, this is the ‘World Of Funk’ EP by Seb Skalski, out now on Switzerland’s very cool Purple Music. First track ‘Ghetto Funk’ is a funky, slightly jazzy house track with repetitive vocal samples throughout the mix. A decent warm up track for those on a funky vibe. What we’re loving though is the ‘World Of Funk’ track and once you play it, you’ll quickly know why! Sampling Frankie Valli’s classic ‘Grease’ track to full affect, this is a very clever mix that brings smiles to an audience whenever it’s played. One of the film’s best songs and the opening to it, the original is loved by generations old and new. With clever use of the sample and slight parts of the chorus, Seb produces a great funky tune that just goes off when played at the right times. OK, we love the film! There, we’ve said it, it’s out there. Have a listen below.